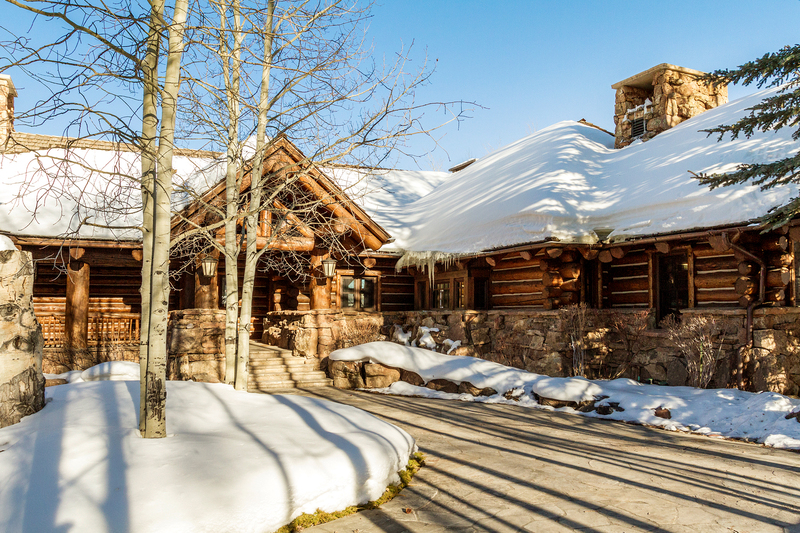 Seamless Ski-in/ski-out 6-bedroom/6.5-bath custom log home with breathtaking Gore Range views on 2.28 gorgeous acres. 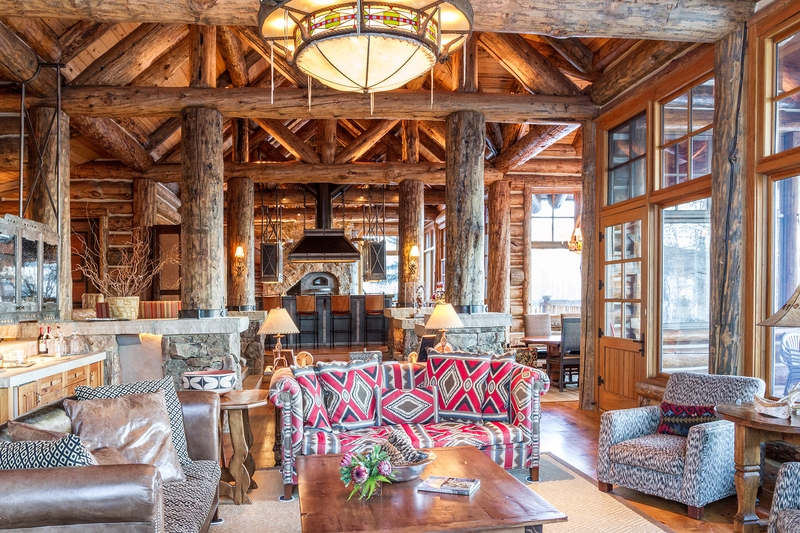 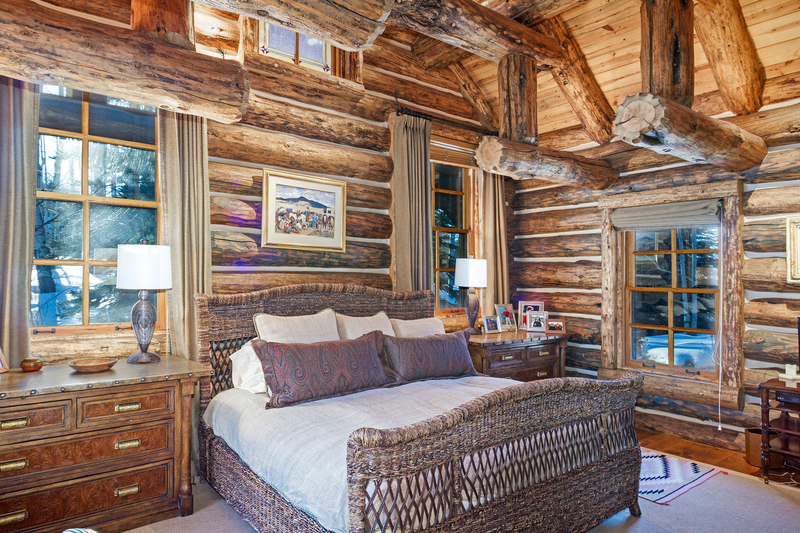 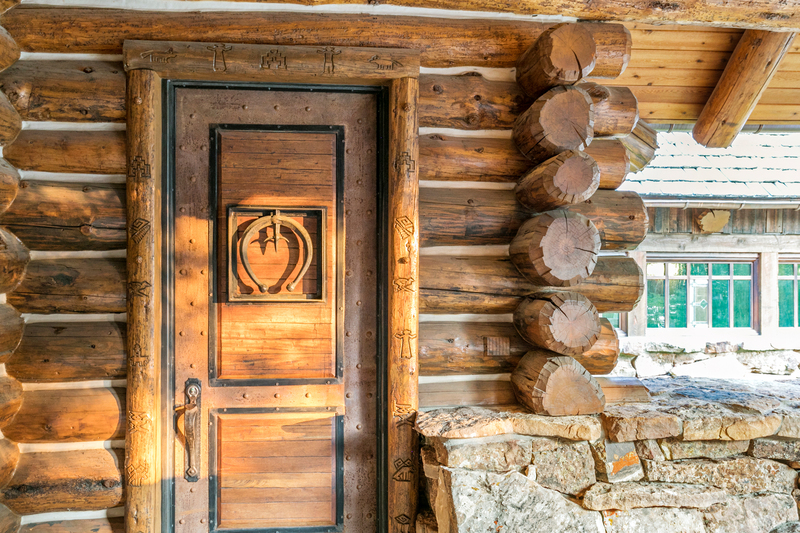 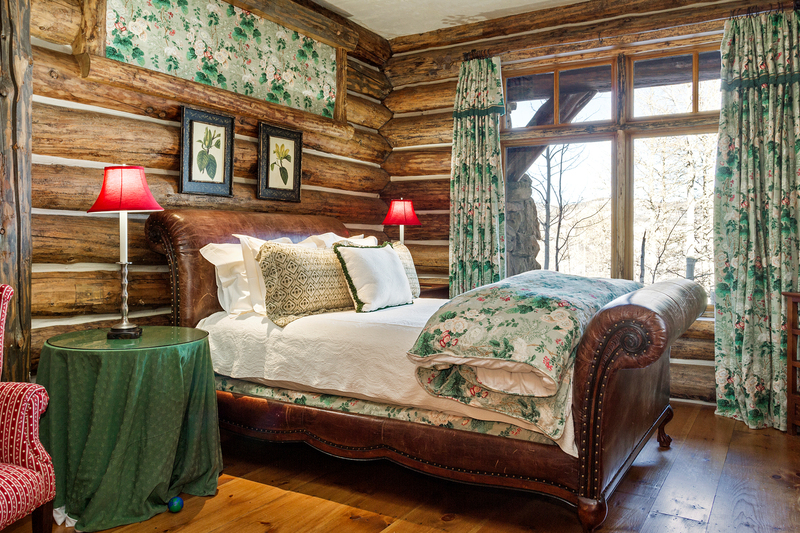 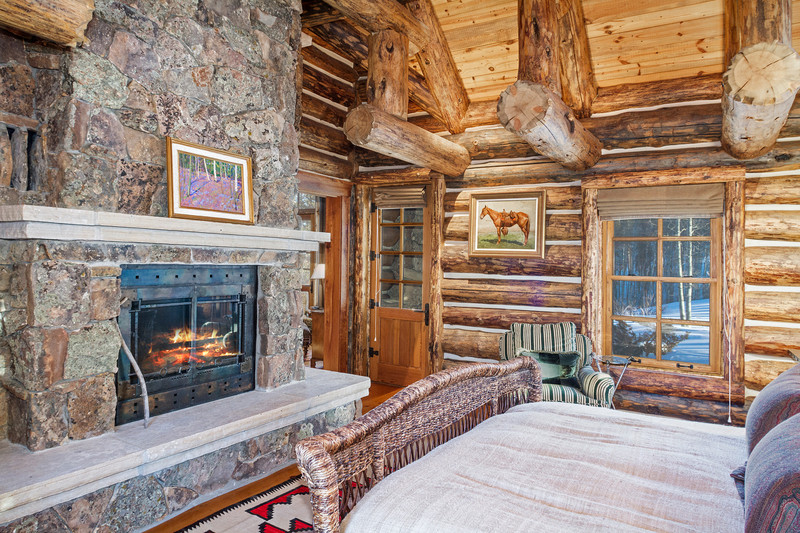 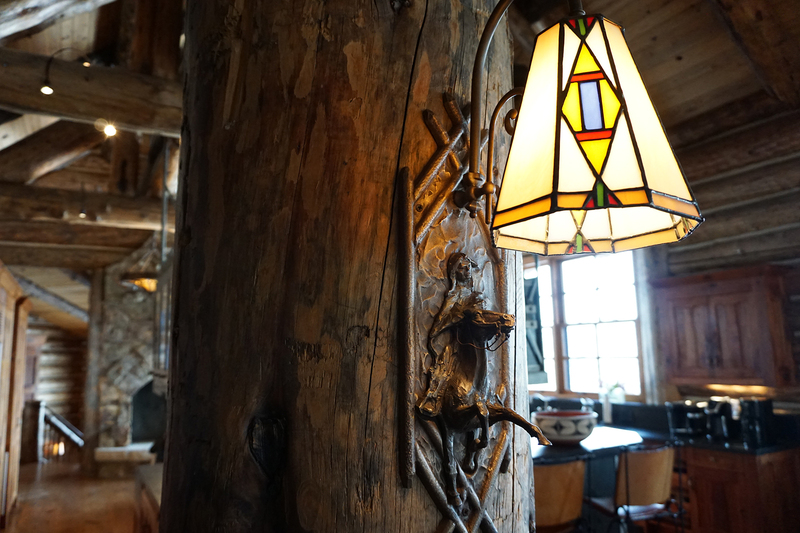 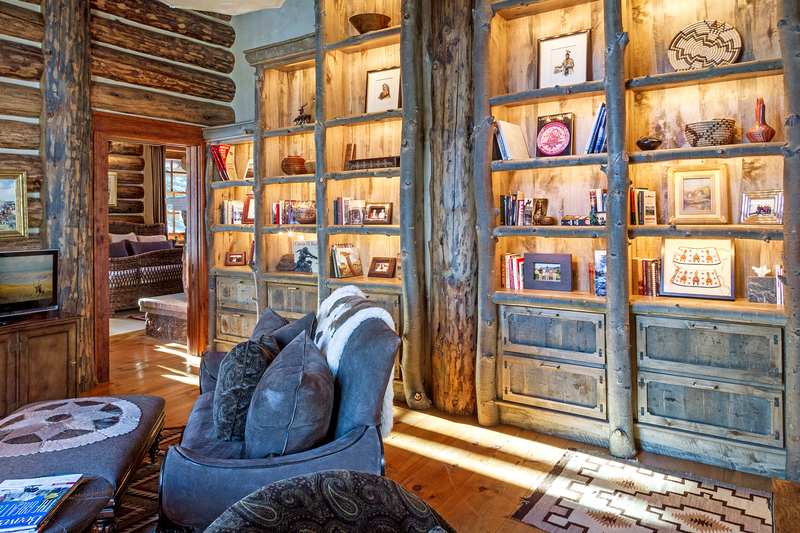 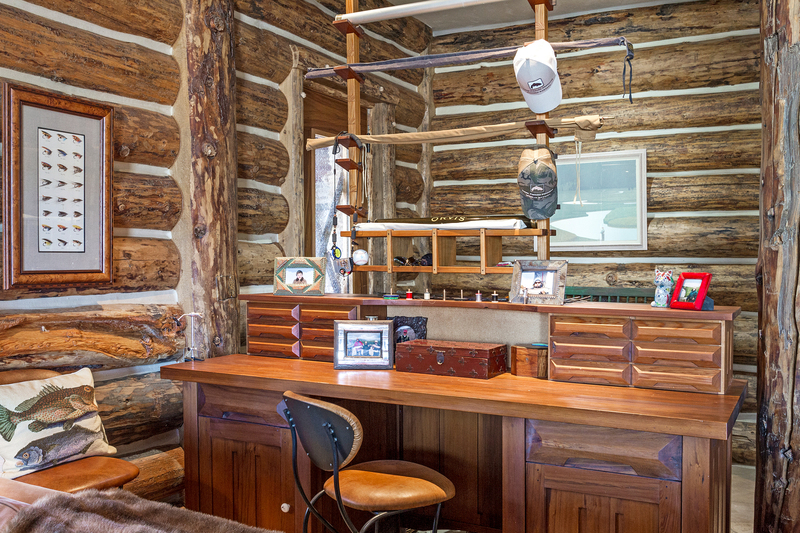 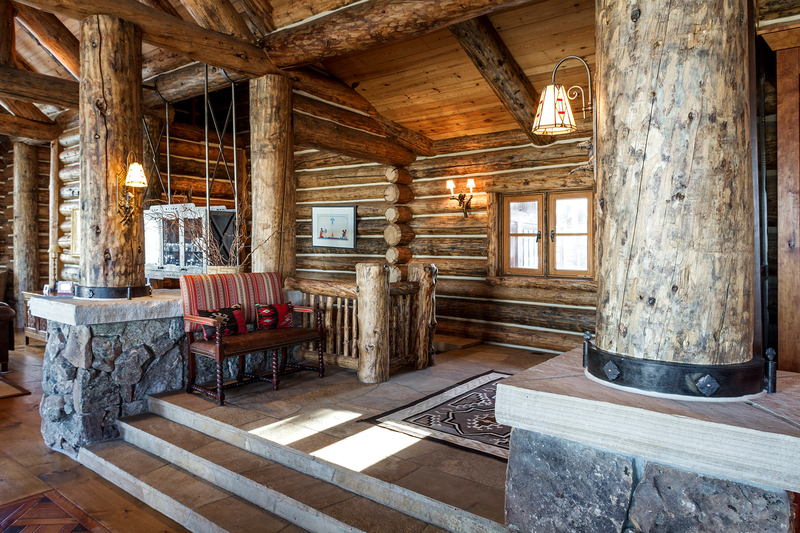 Take a step back in time, to the days of the Old West, in this one-of-a-kind custom log home positioned with expansive views of the Gore Range. 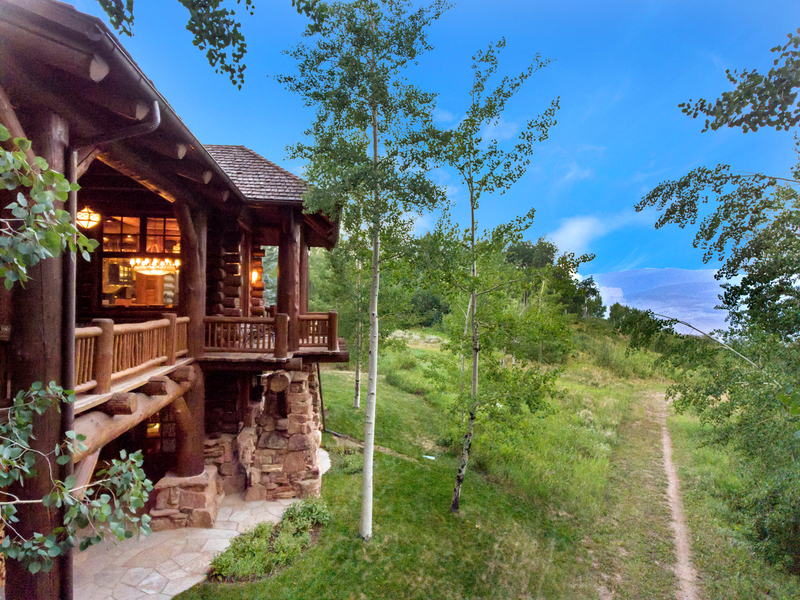 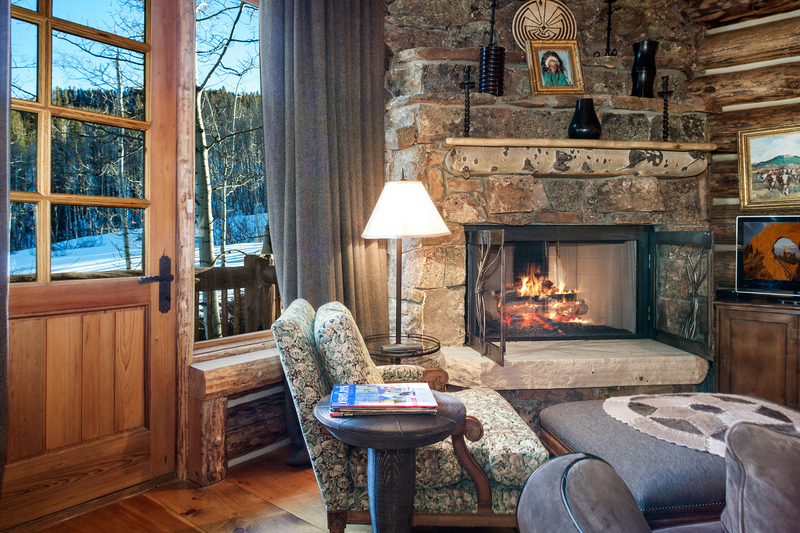 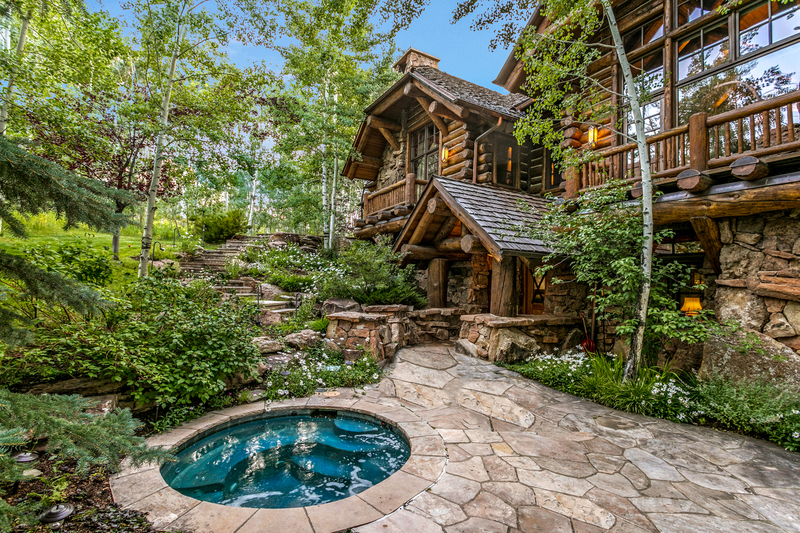 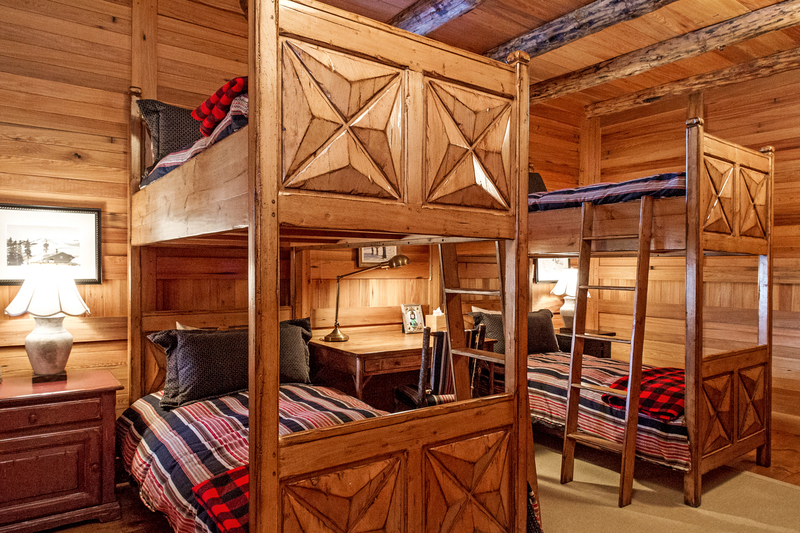 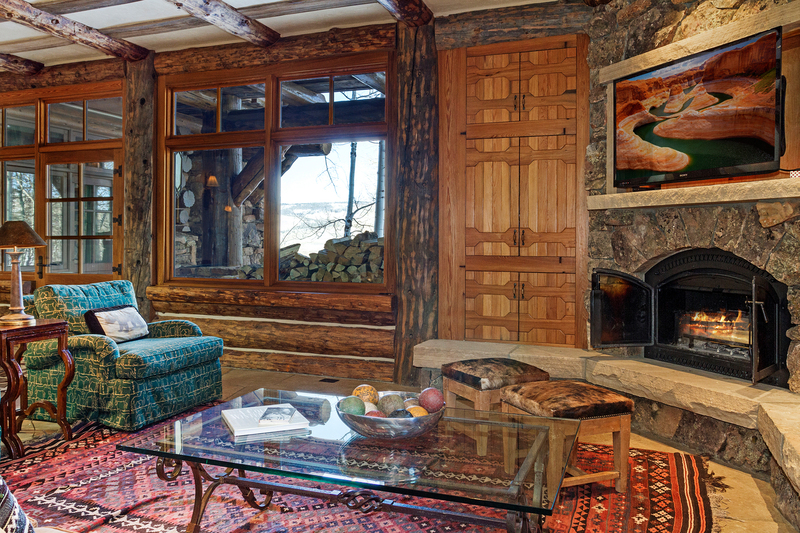 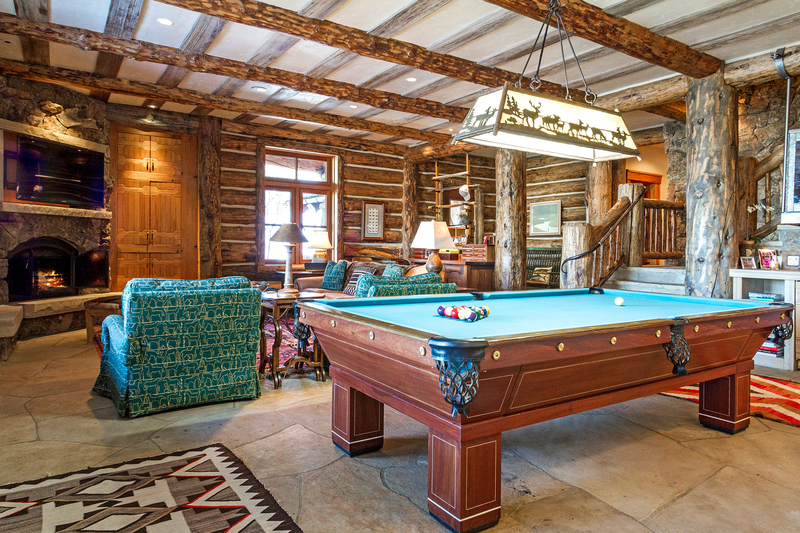 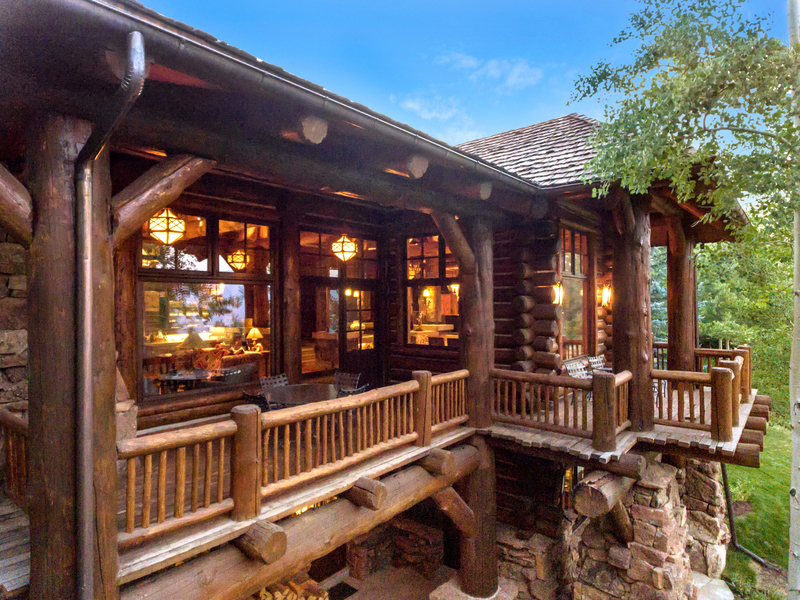 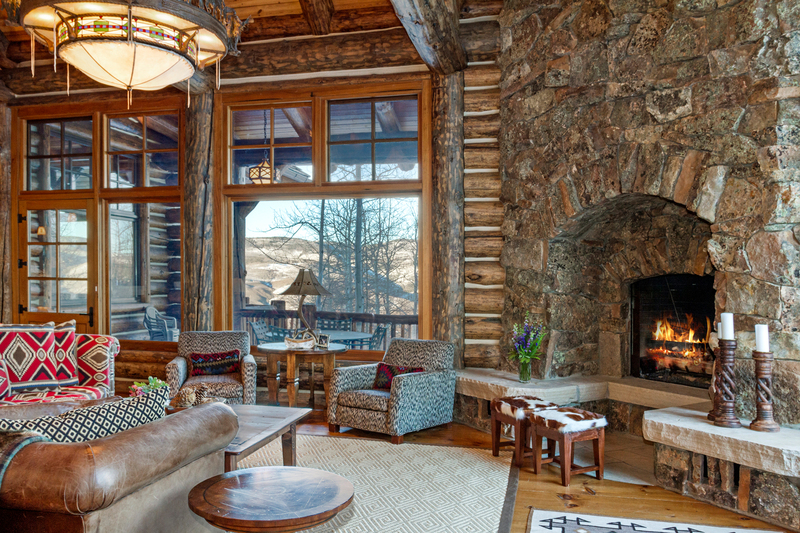 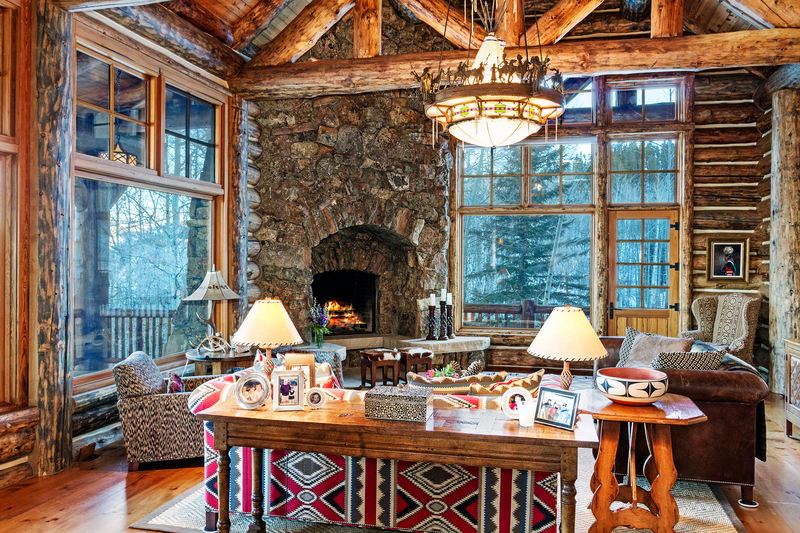 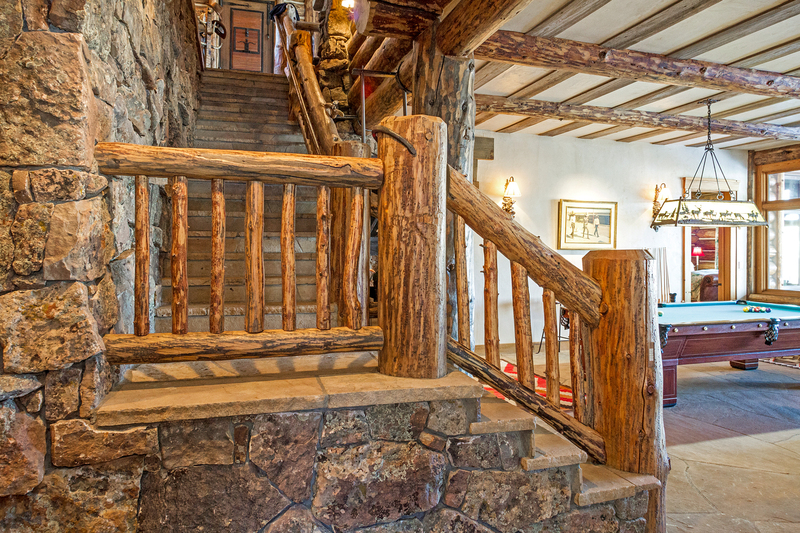 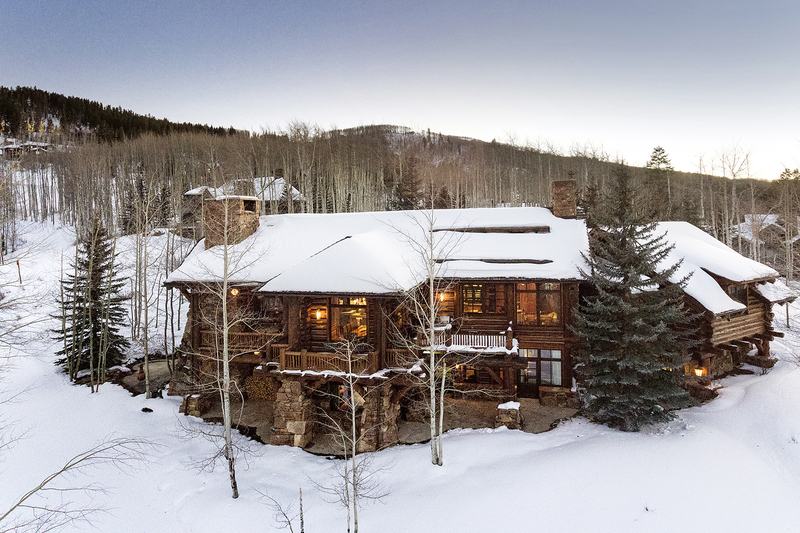 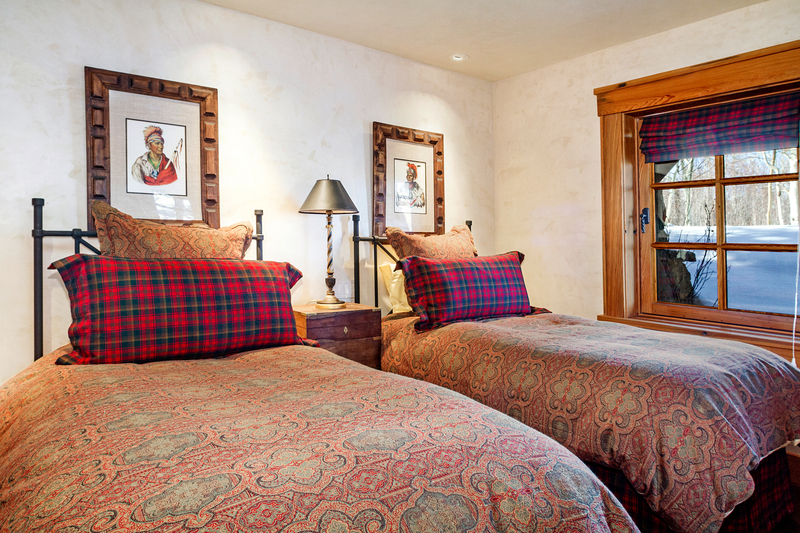 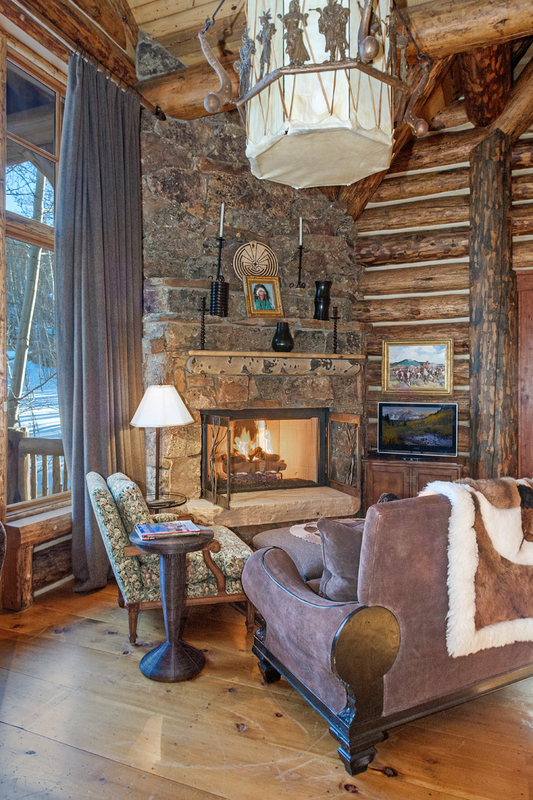 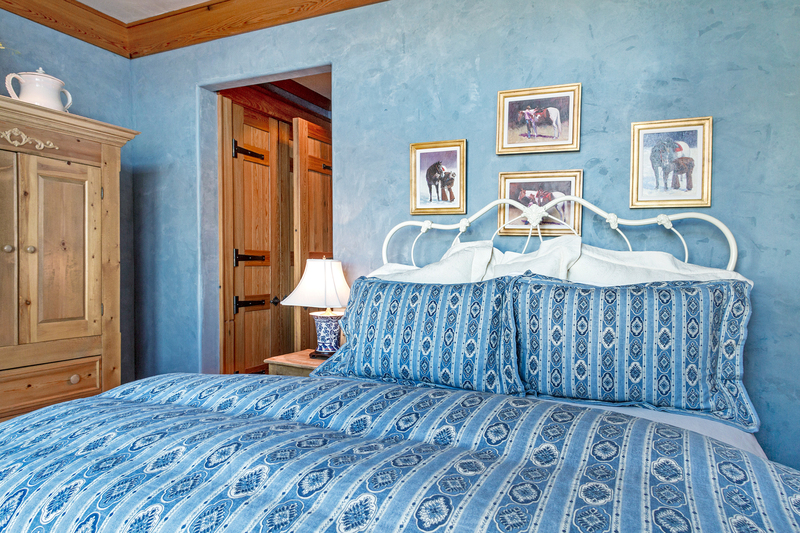 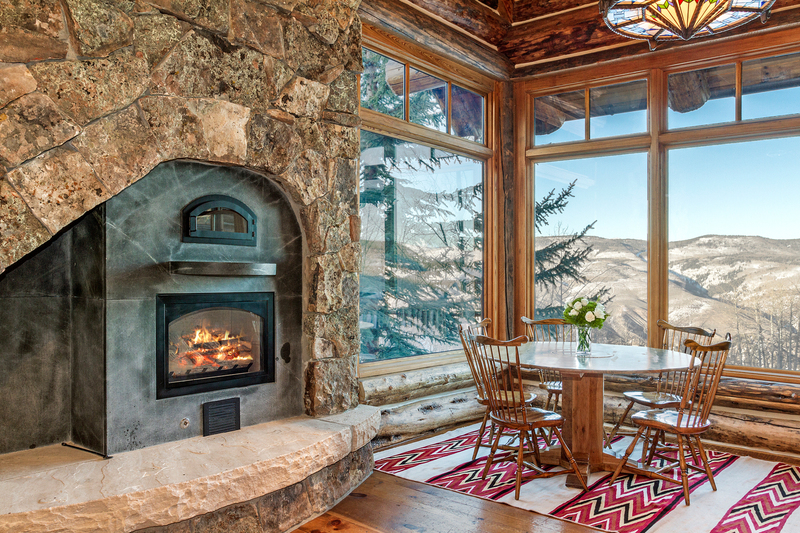 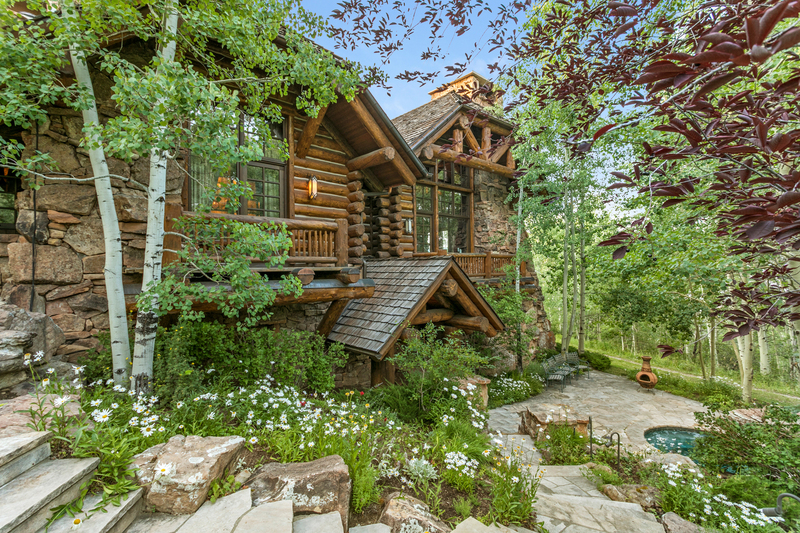 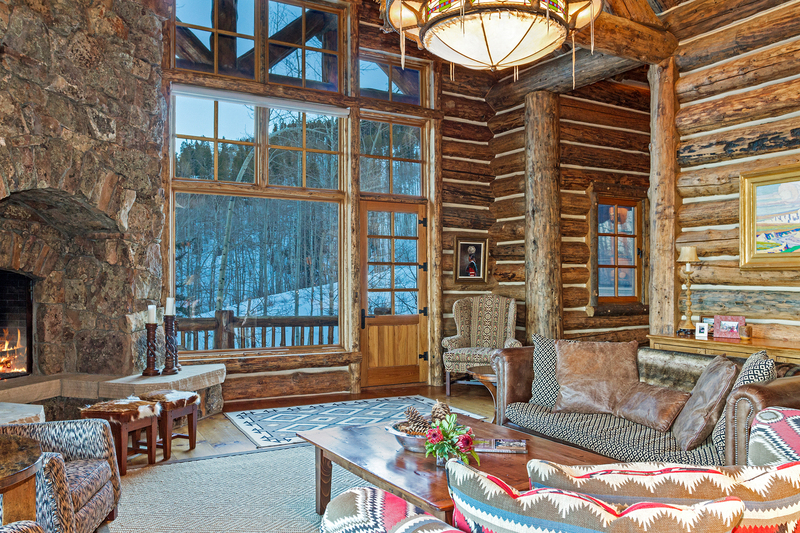 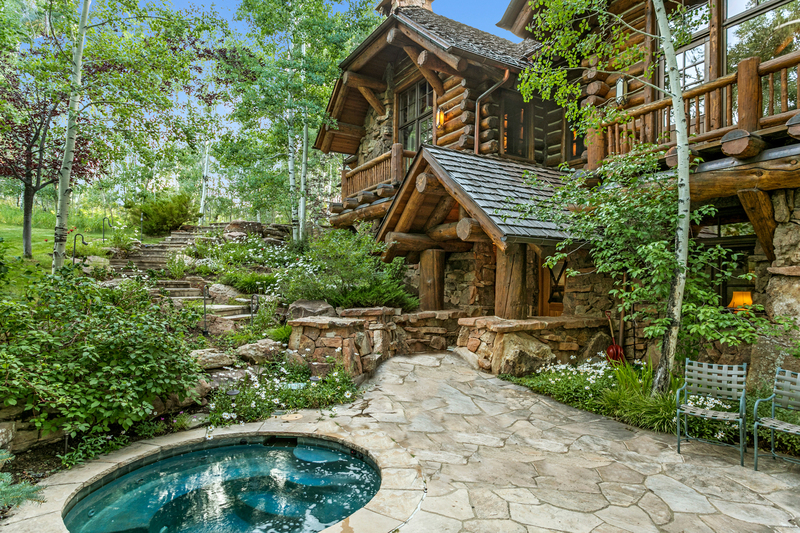 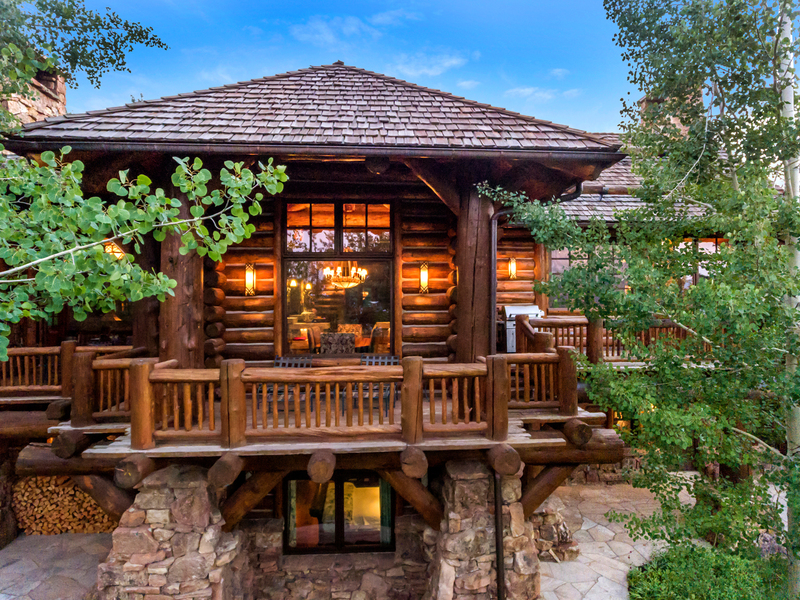 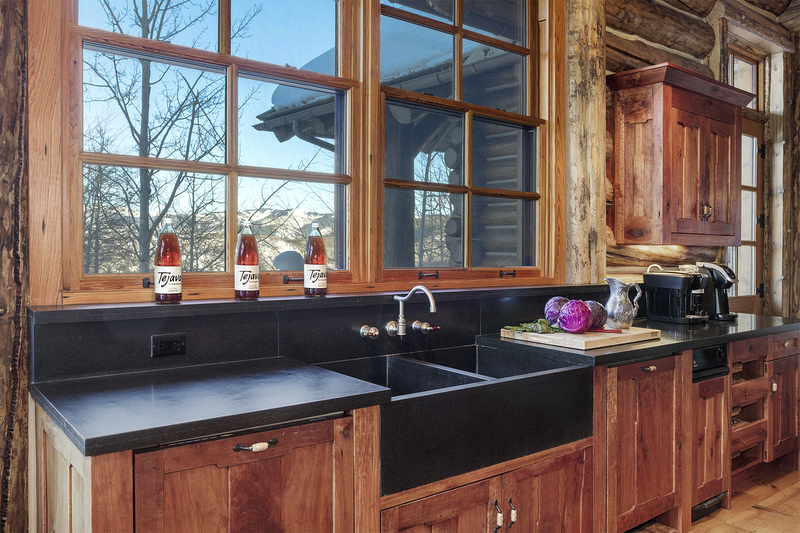 This true ski-in / ski-out Colorado mountain retreat is built with unmatched quality and authenticity and sits on 2.28 acres of gorgeous private land. 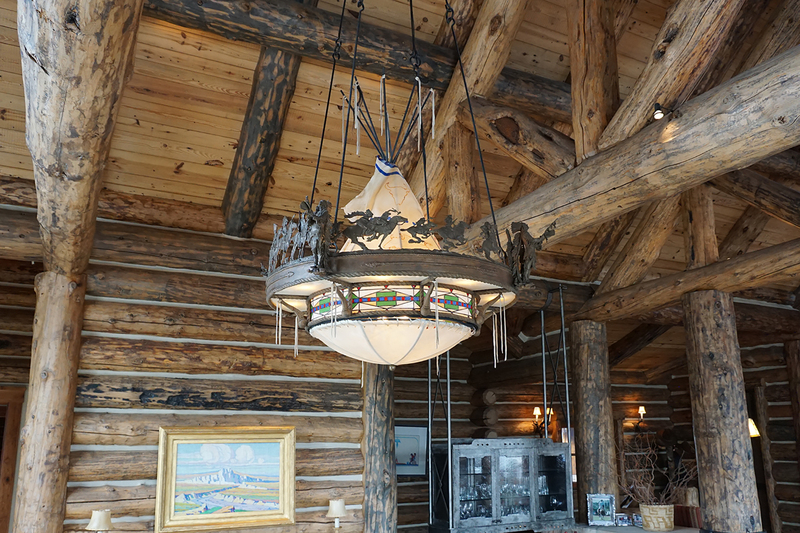 You simply will not find anything truer to the Western tradition. 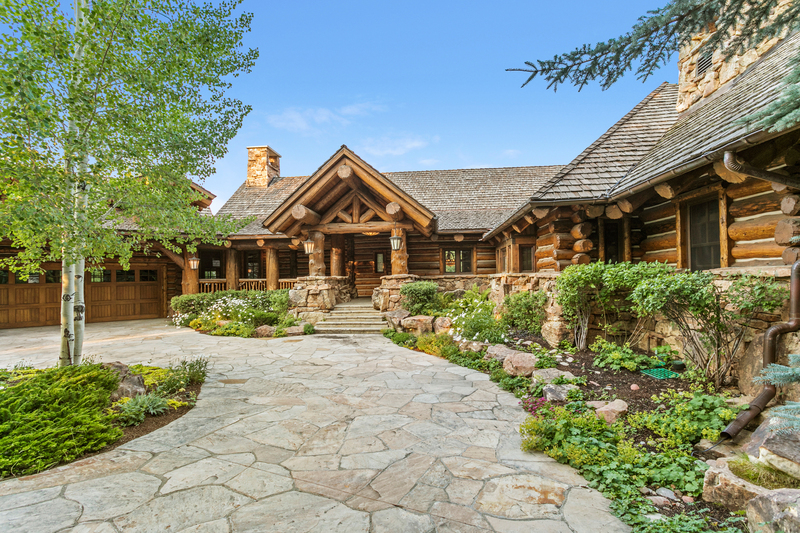 Log construction from the first level to the roofline, features of this 6 bedrooms / 6.5 bathrooms home are deliberately consistent, rich and uniform. 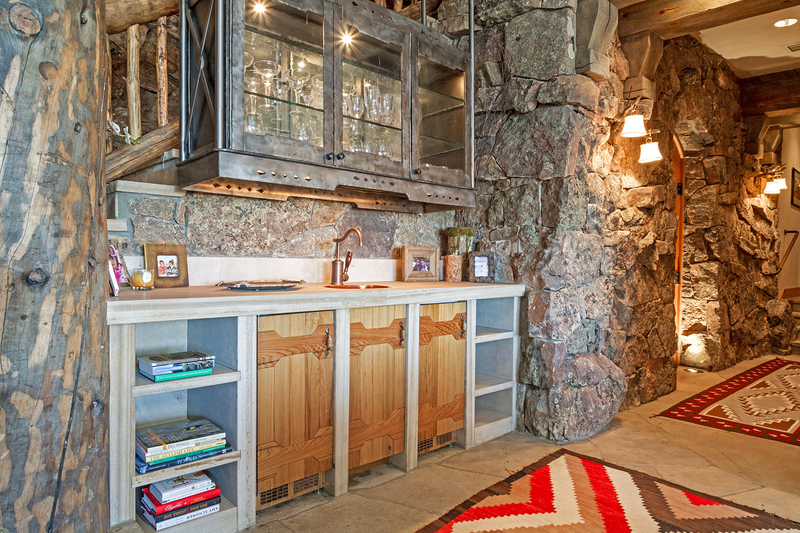 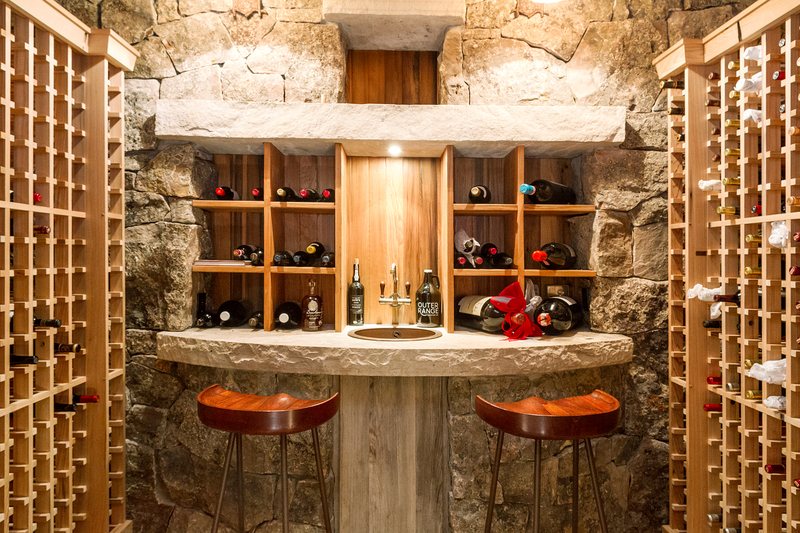 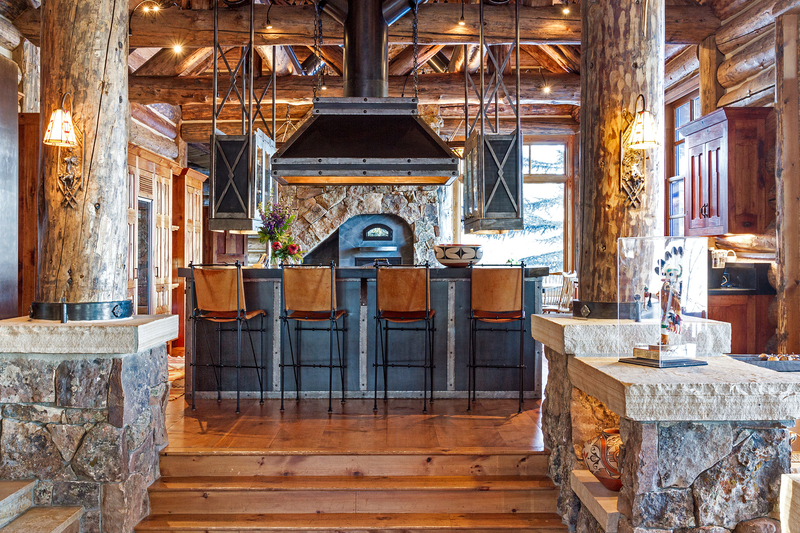 The jaw-dropping great room showcases a towering, rustic, stone fireplace and wet bar with a suspended, iron glassware cabinet matching the kitchen that allows for entertaining the largest of families and friends. 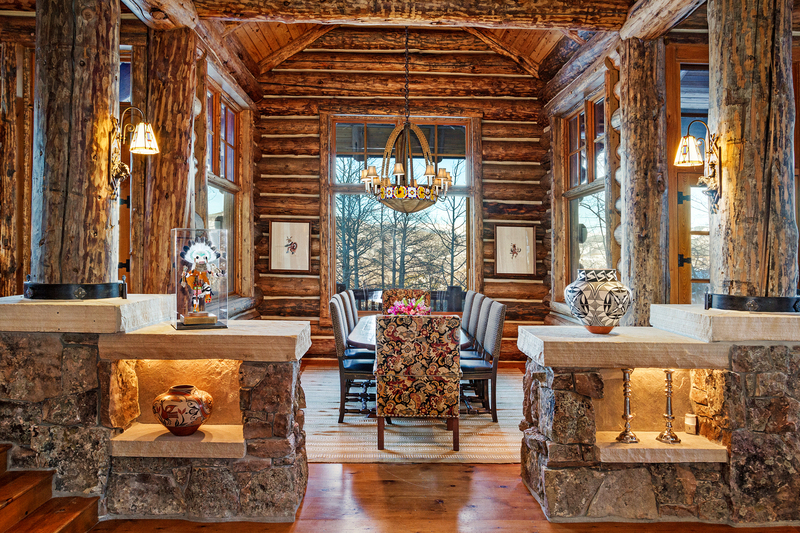 The formal dining room juts out from the center of the home allowing for windows on three sides of the table making you feel suspended amongst the aspen trees. 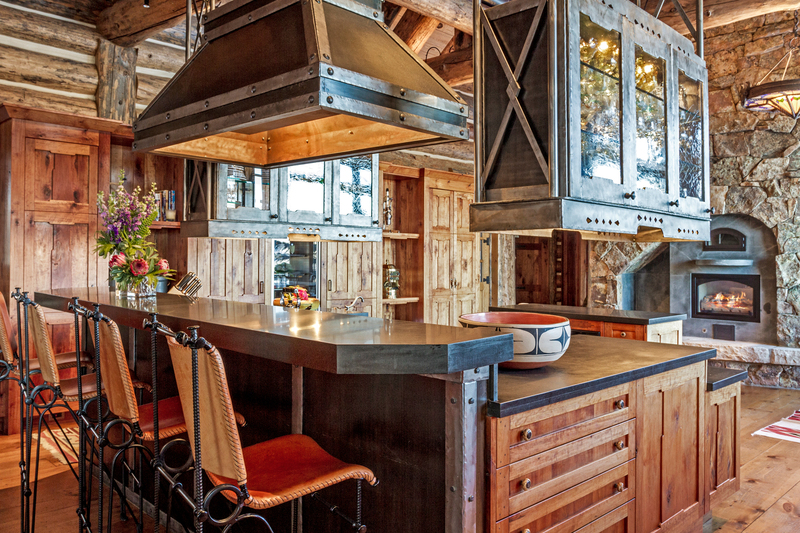 Elevated from the main floor is the true heart of the home, the chef’s kitchen. 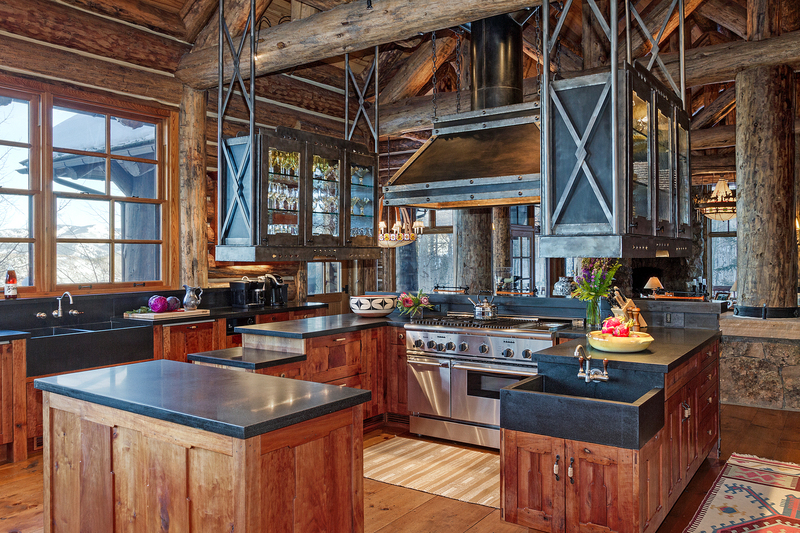 A show-stopping centerpiece that focuses on the cook while the surrounding areas provide multiple prep stations for the sous chef. 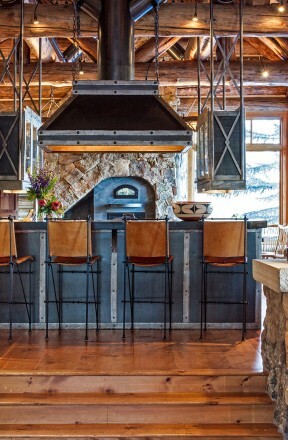 Wrought iron, glass encased cabinets suspend around the double oven and griddle station ensuring that the natural light still pours in from the surrounding windows. 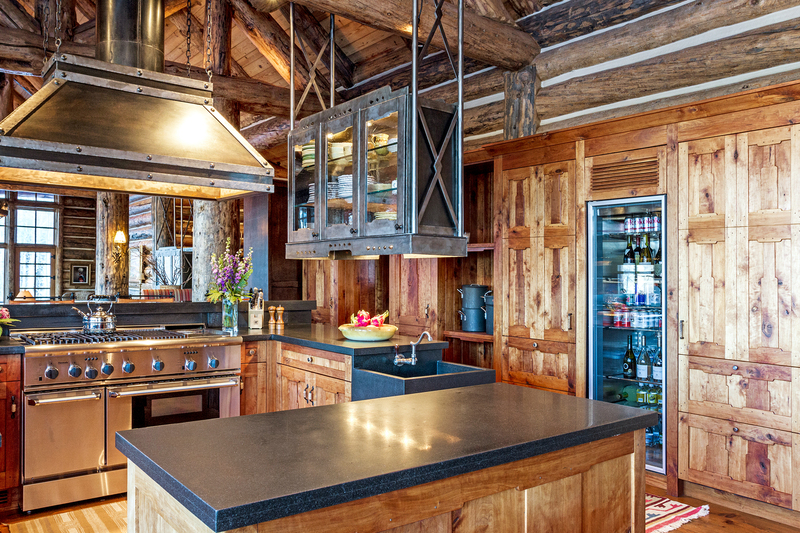 Custom woodwork extends throughout the gourmet kitchen from the front panels of the refrigerator, dishwasher and pantry creating a seamless design to blend with the cabinetry and wide-plank floors. 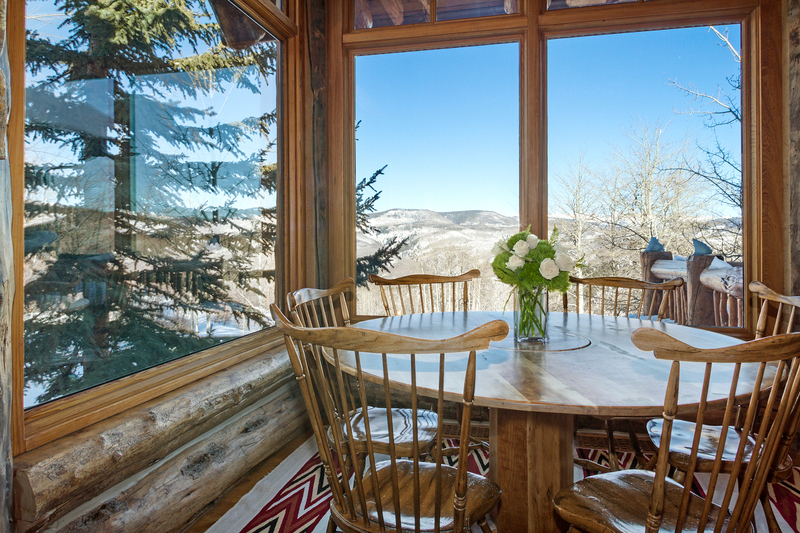 Offset in the kitchen is an informal dining table surrounded by windows that make you feel like you are dining above the mountains. 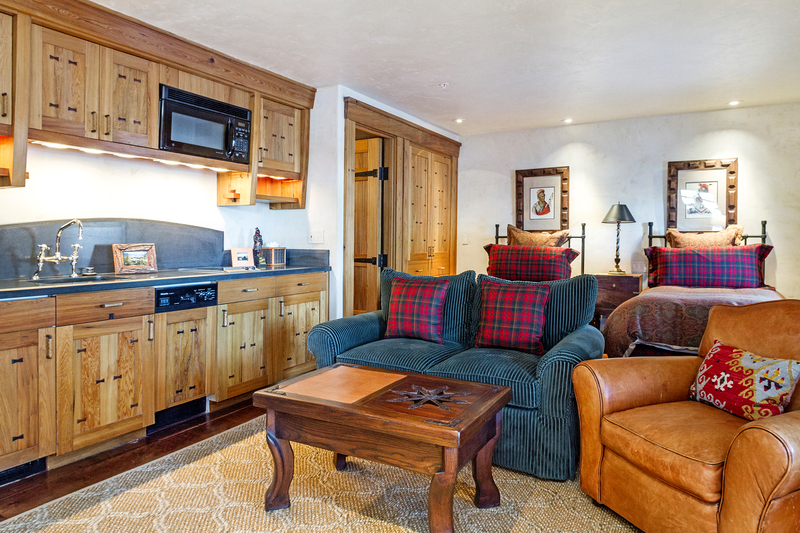 A cozy hearth adjoins this space providing an additional sitting area to enjoy your morning coffee or just to keep the chef company while they cook. 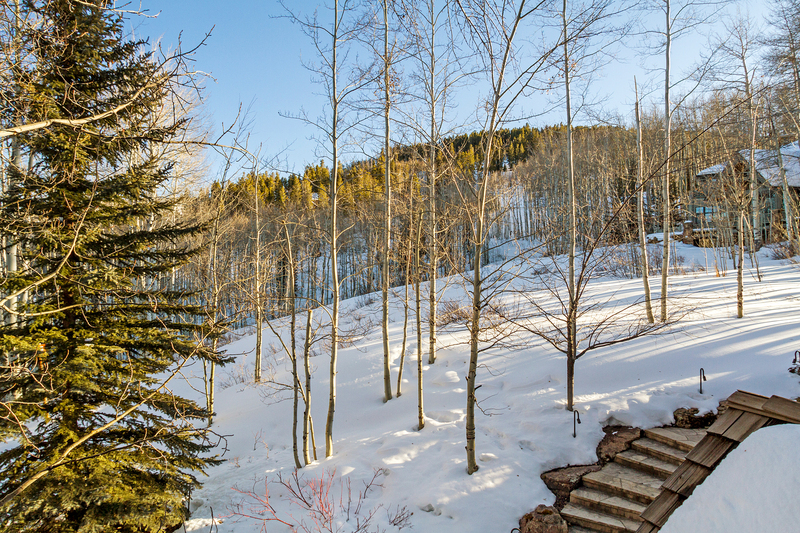 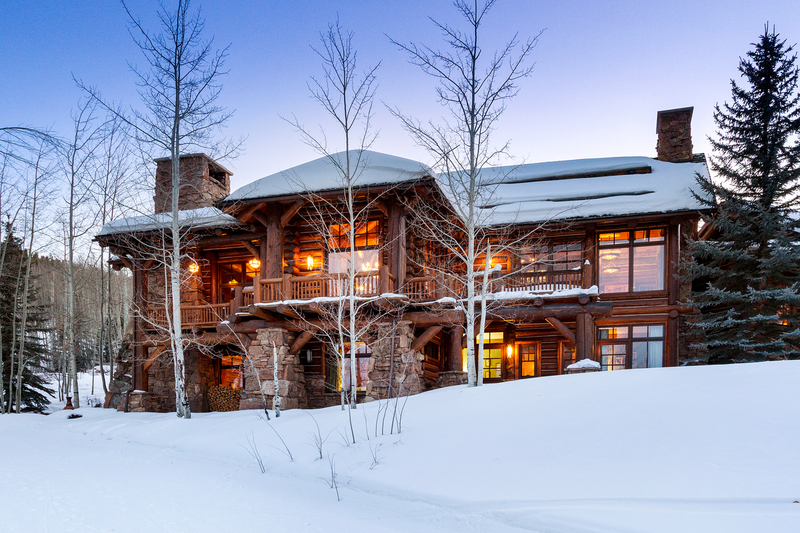 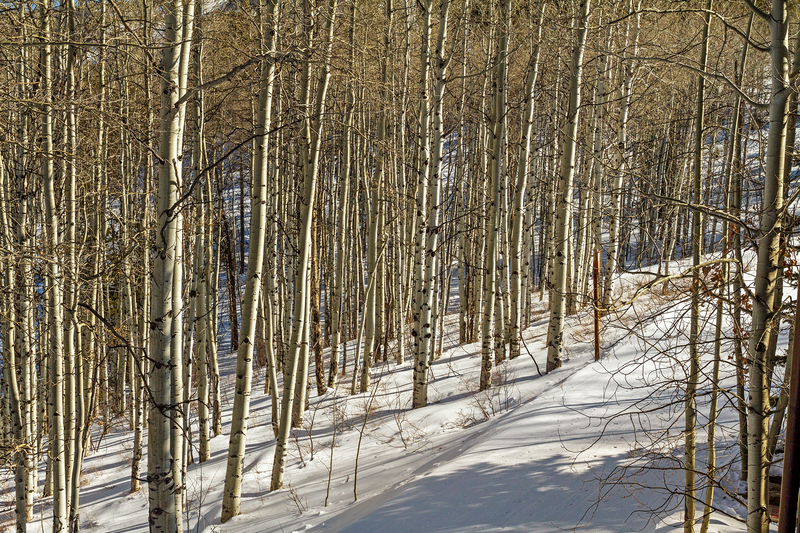 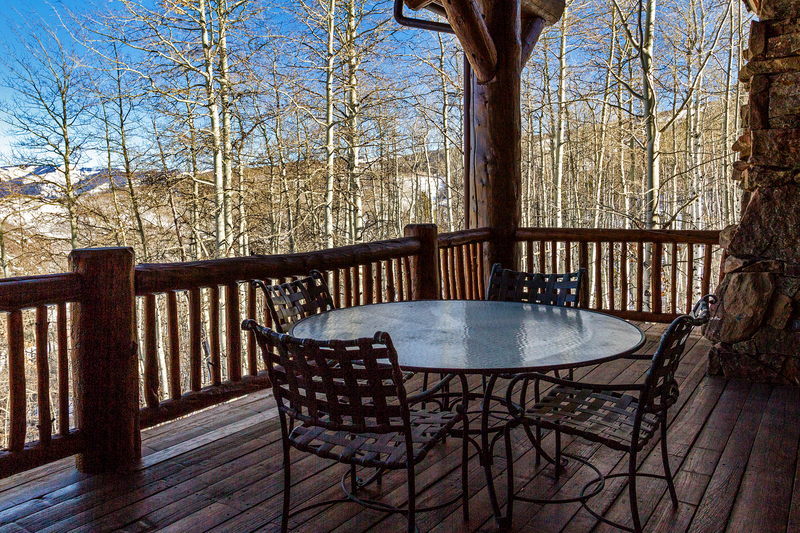 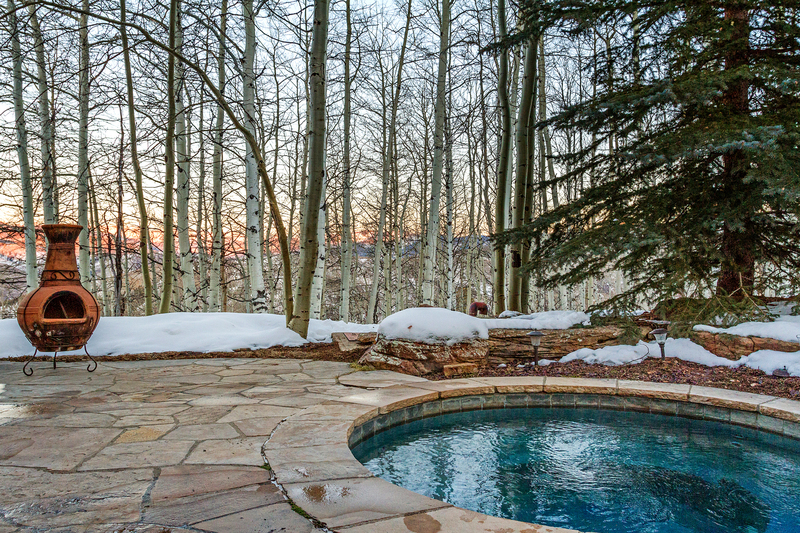 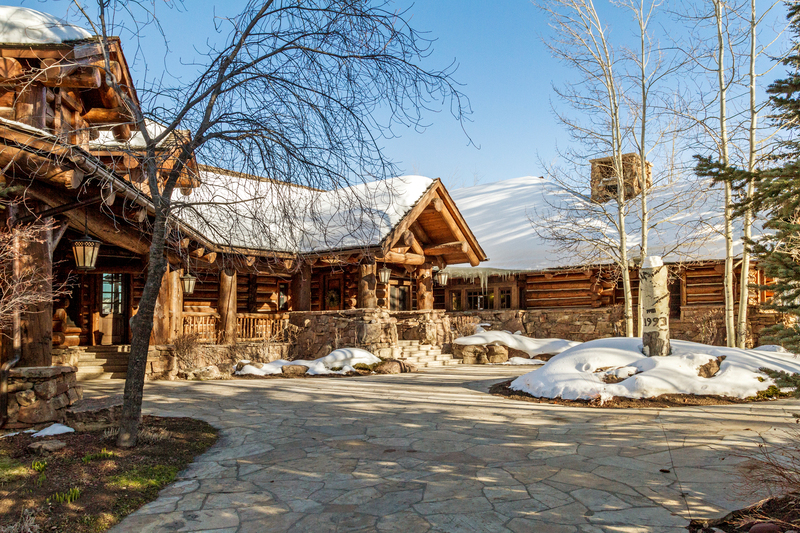 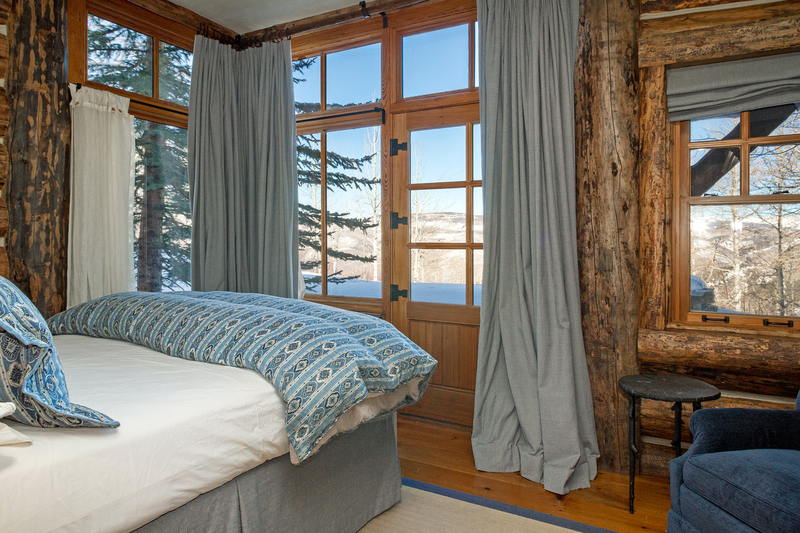 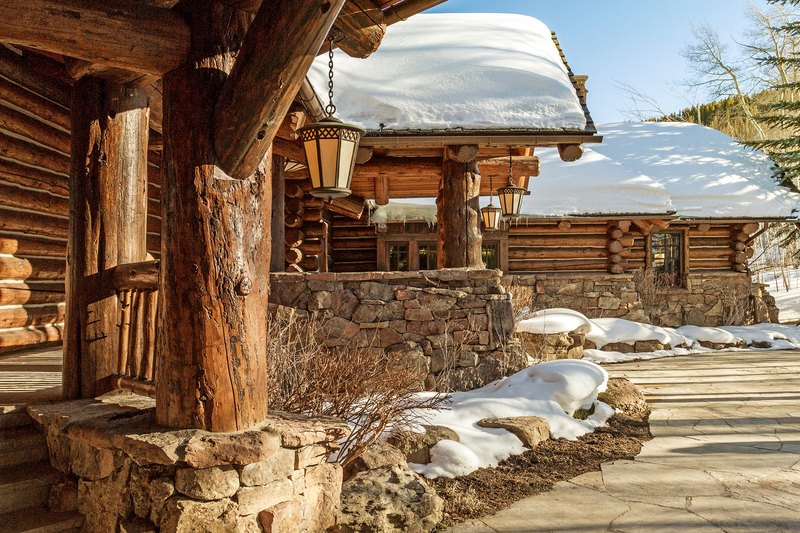 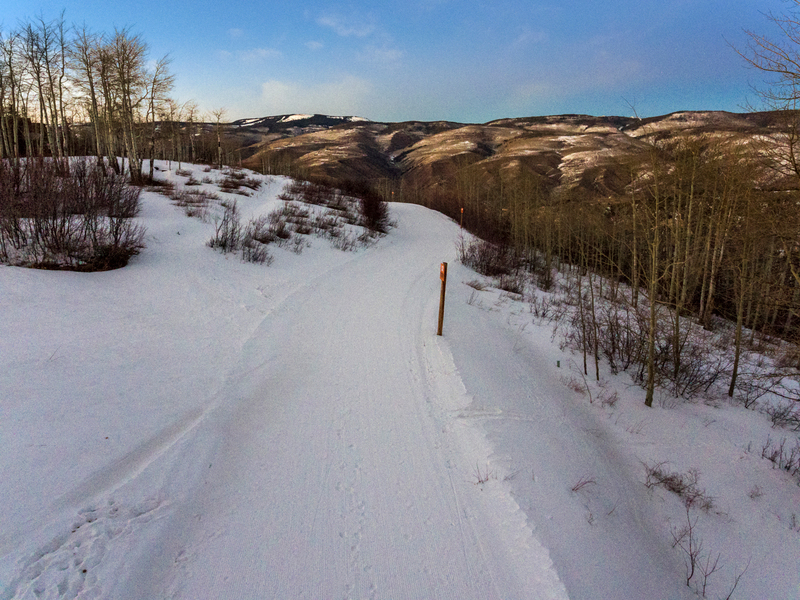 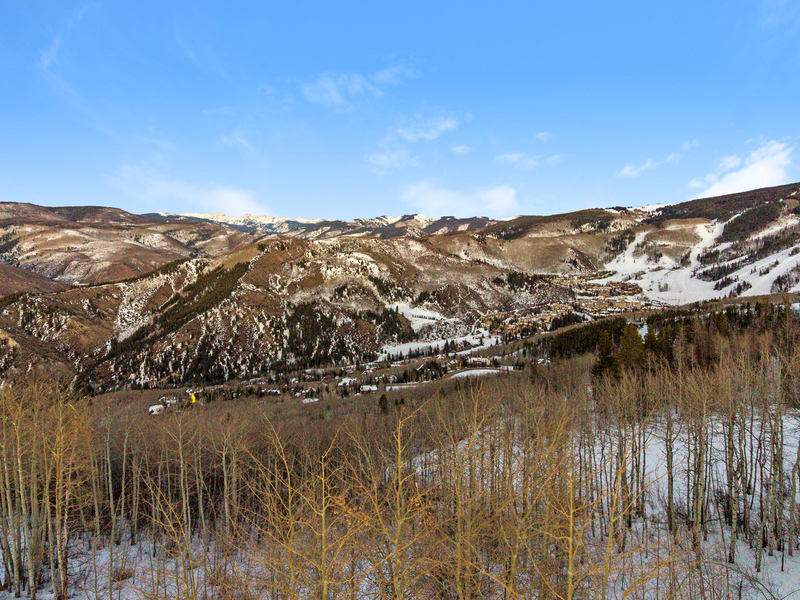 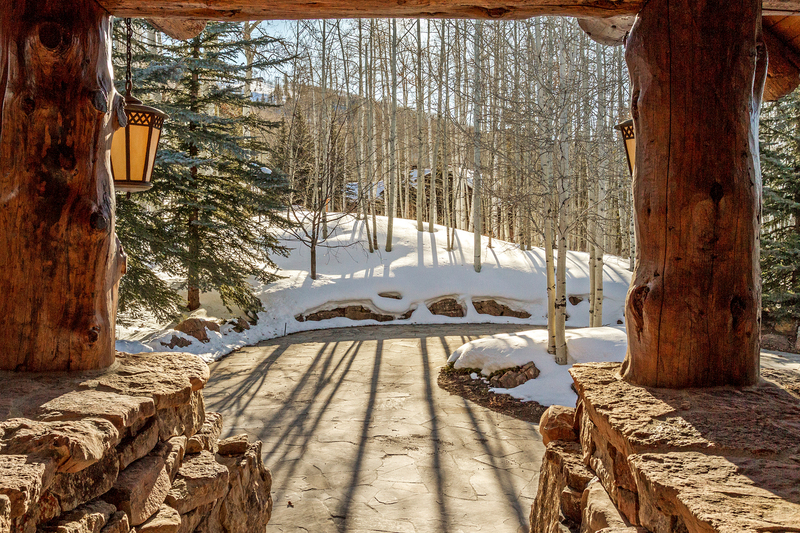 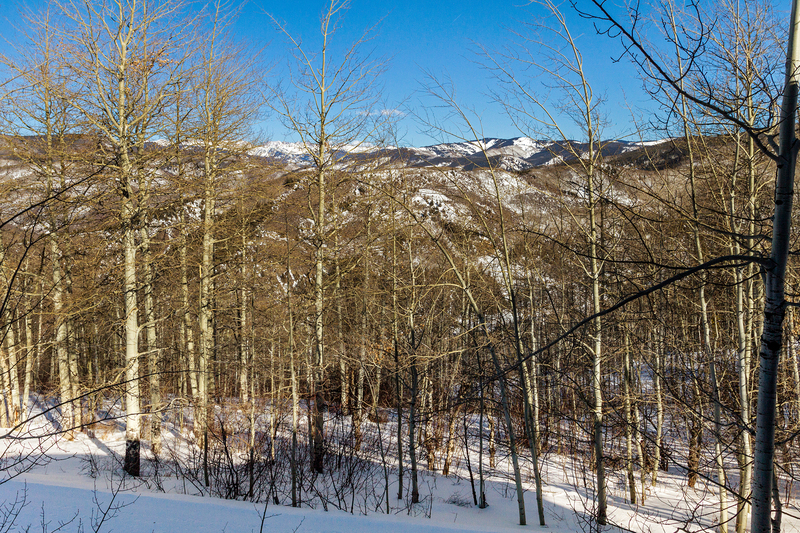 Outside is a quiet, large private walk-out patio, with breathtaking views elevated over the Second Chance ski run where you can access top-notch skiing in Bachelor Gulch and Beaver Creek. 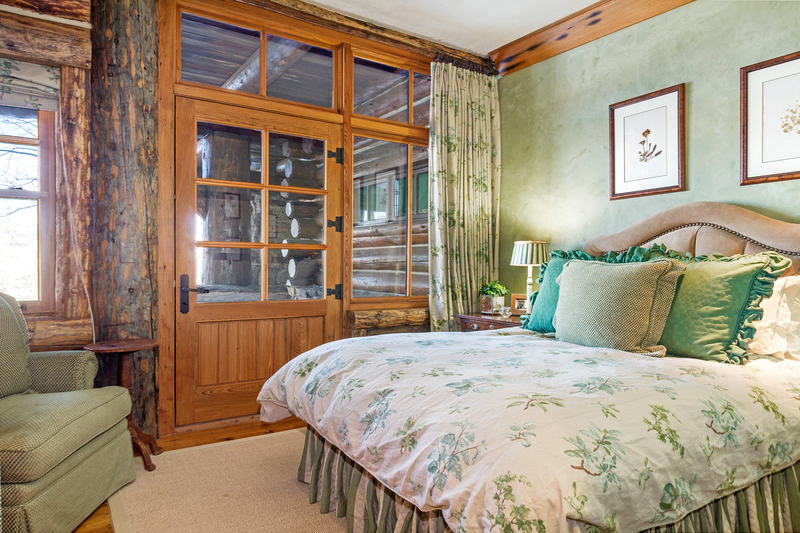 The master bedroom and study wing is reminiscent of its own cabin in the woods and seems secluded from the rest of the home. 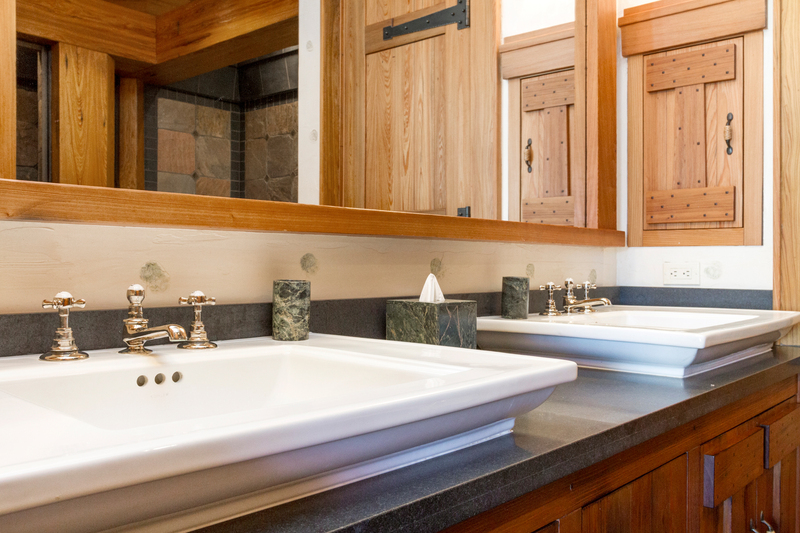 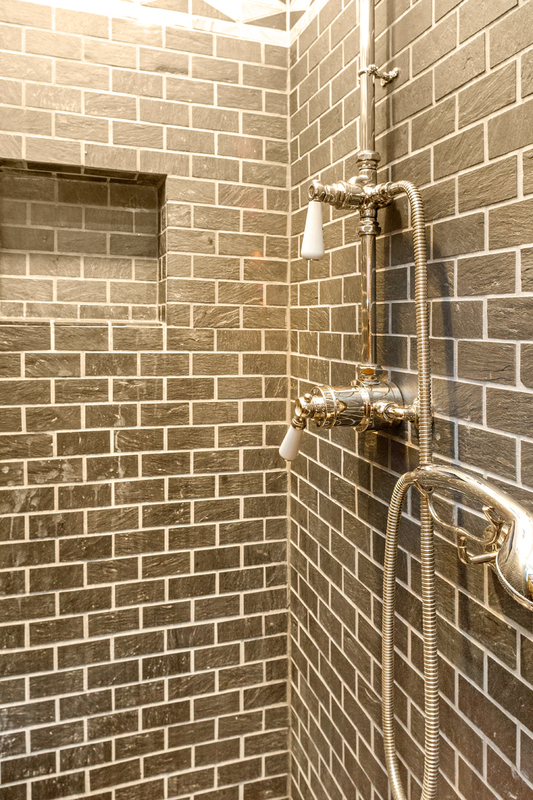 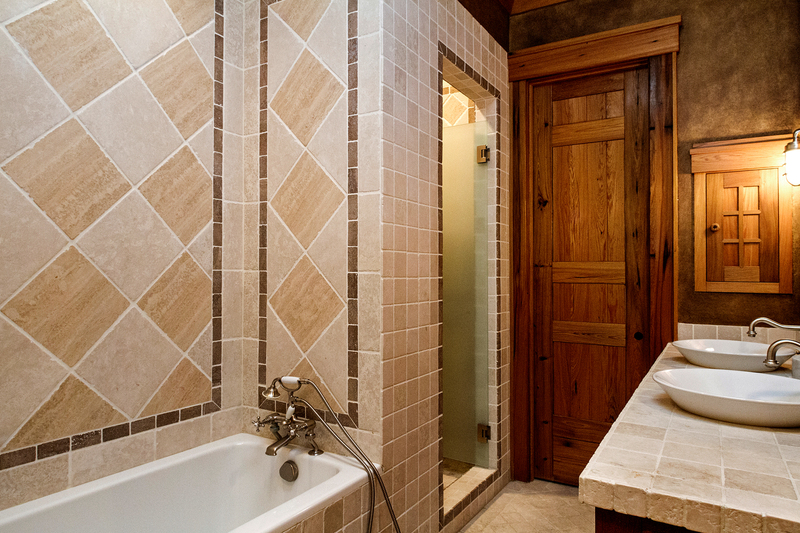 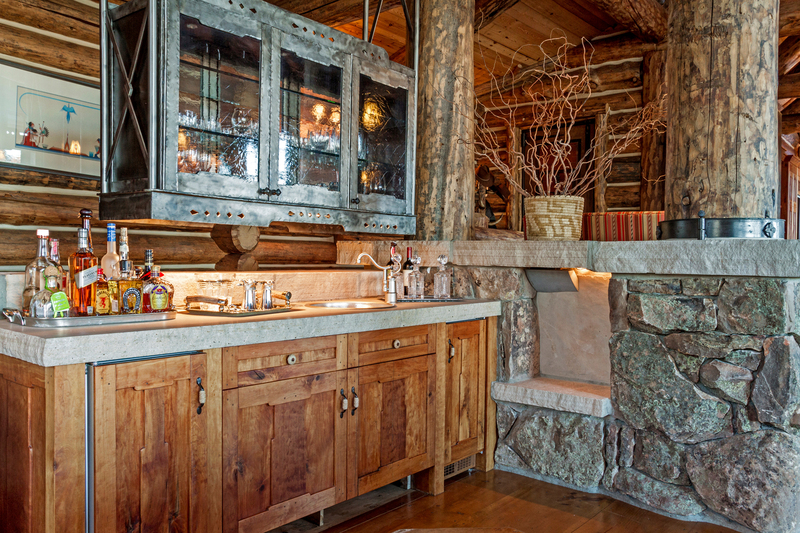 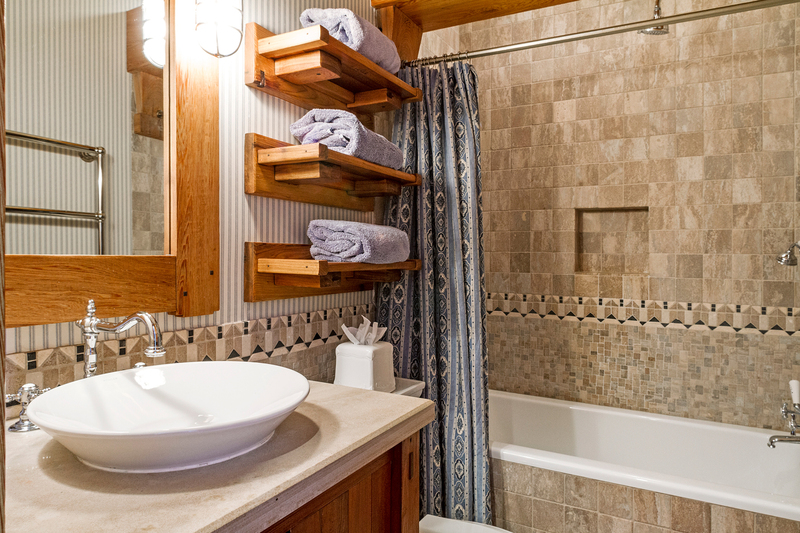 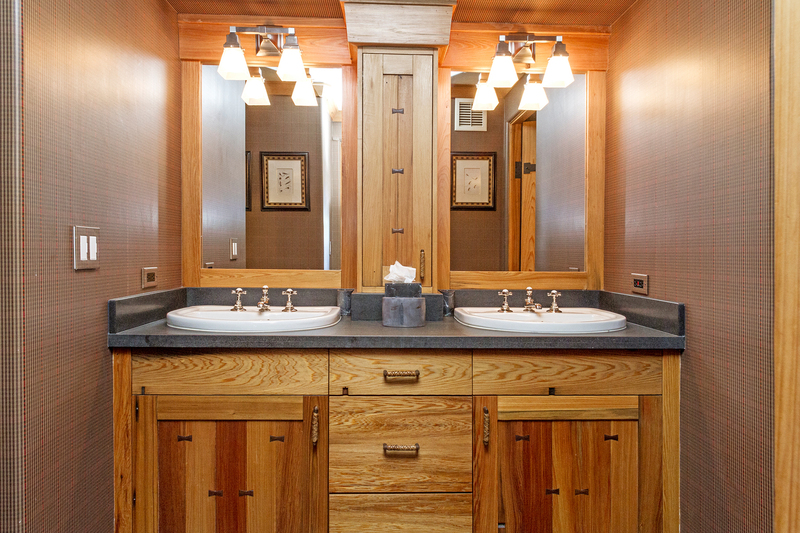 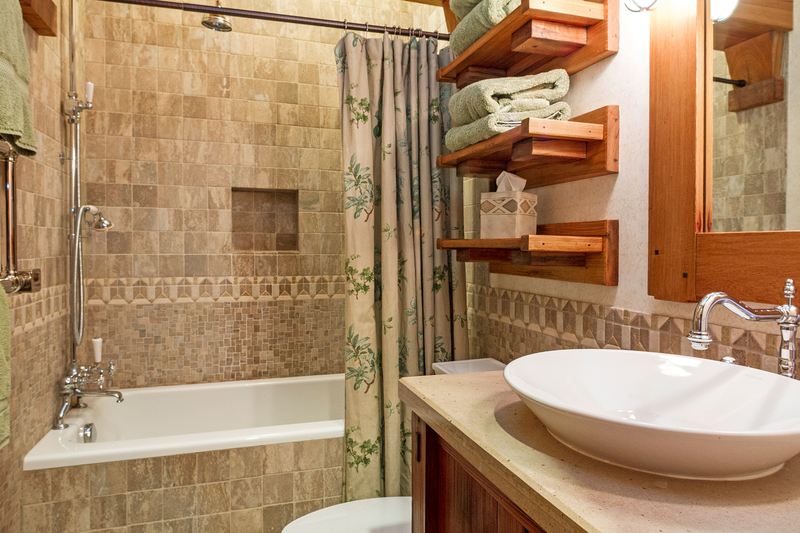 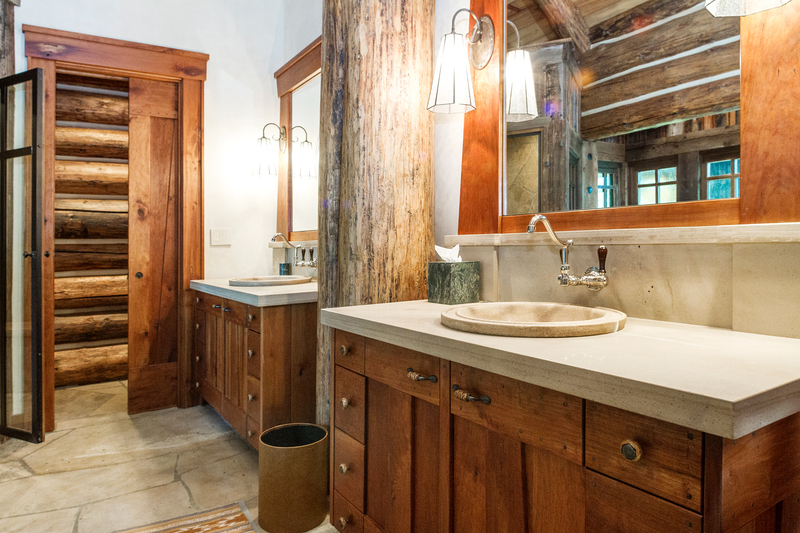 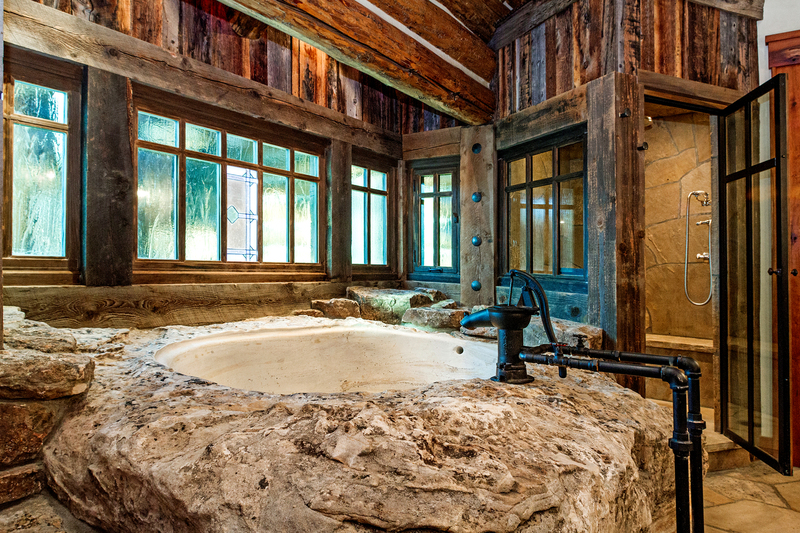 Yet it is the rustic bathroom that houses one of the most unique designs of the property. 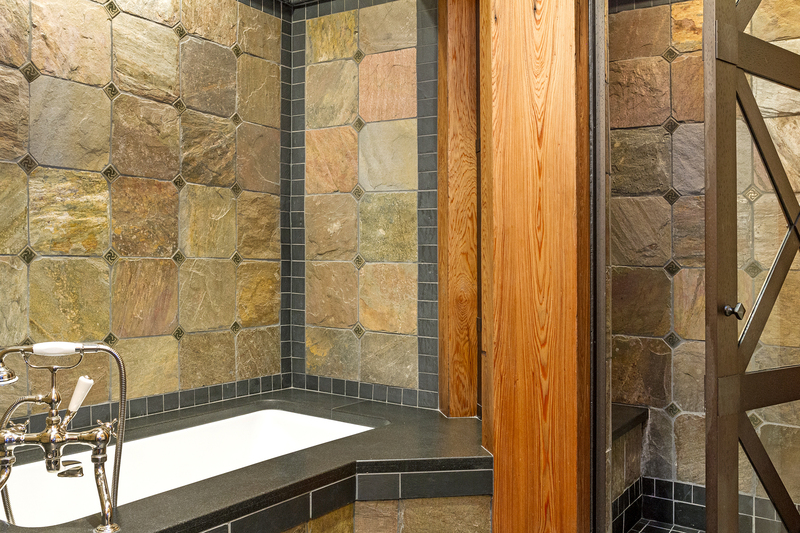 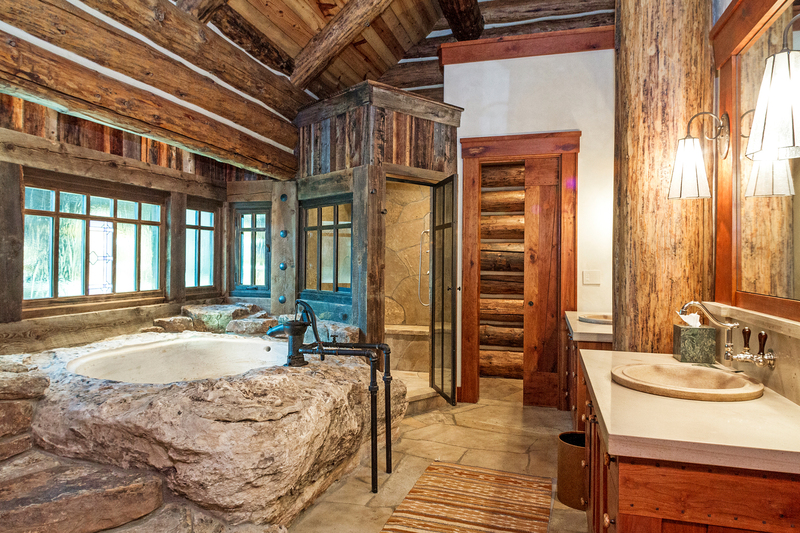 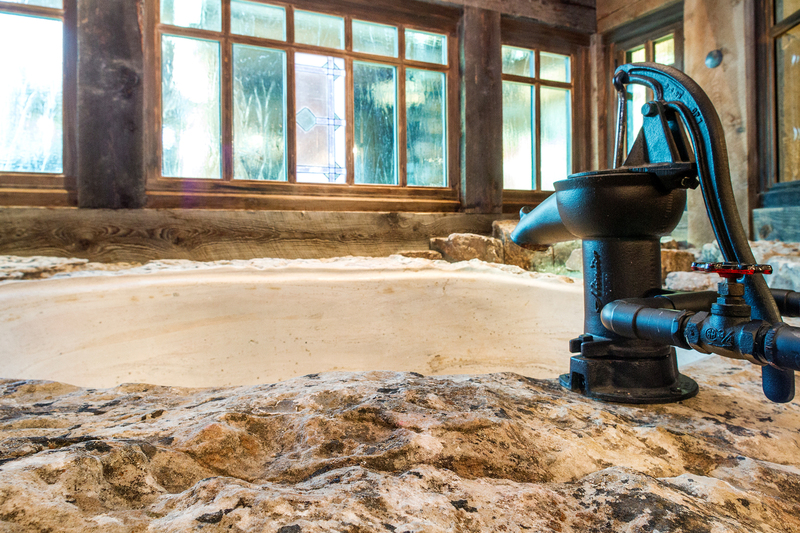 Simulating an old western outhouse, yet a bit more dramatic, an authentic, hefty piece of rock encases a natural stone tub complete with a water well fixture to draw the water while reclaimed wood formulates the shower almost seeming like a mine shaft. 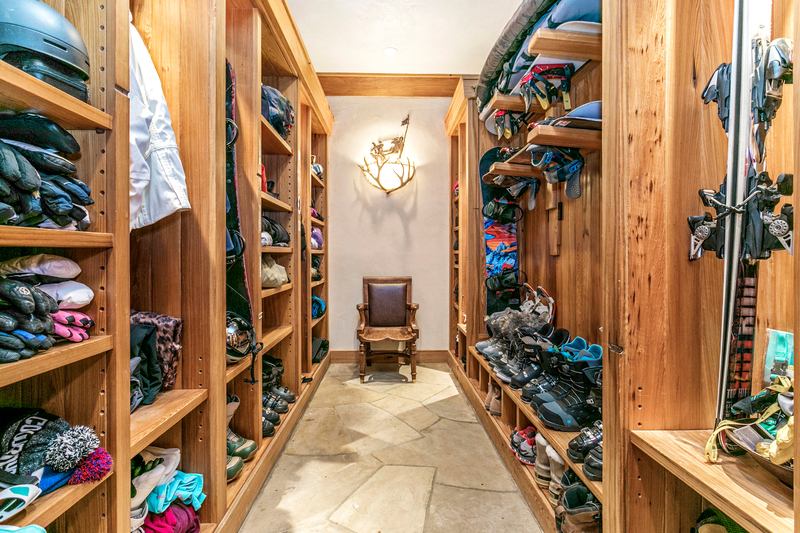 Downstairs boasts a secondary family room with a pool table, wine cellar, wet bar, fly tying desk, a laundry room, and 5 en suite bedrooms, one of which could act as its own apartment for a live-in nanny. 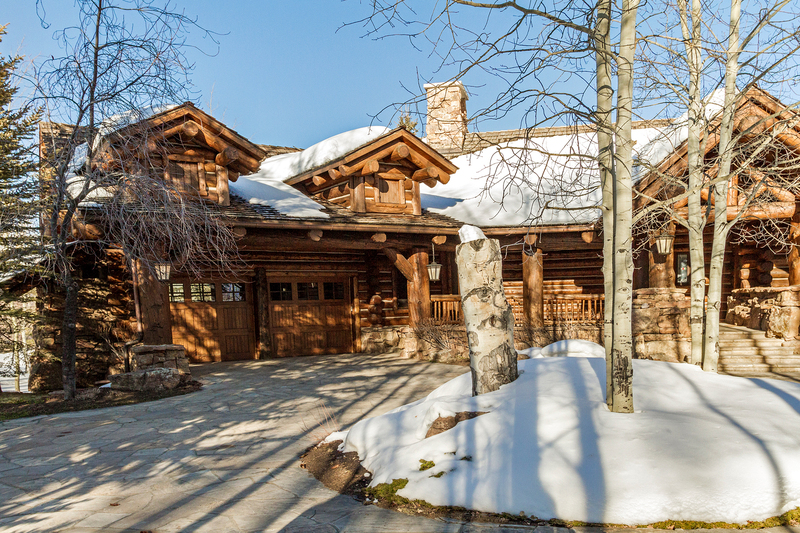 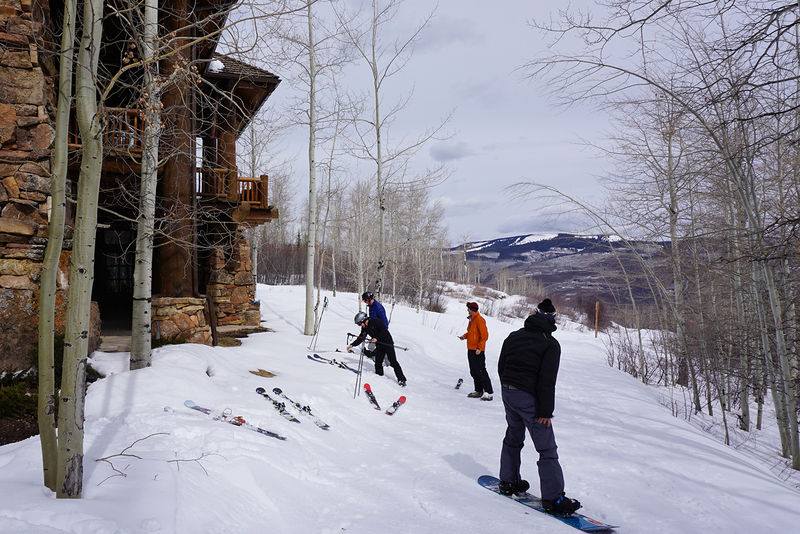 A large, additional ski room sits off one of the back doors that allows access to the hot tub and Bachelor Gulch ski path. 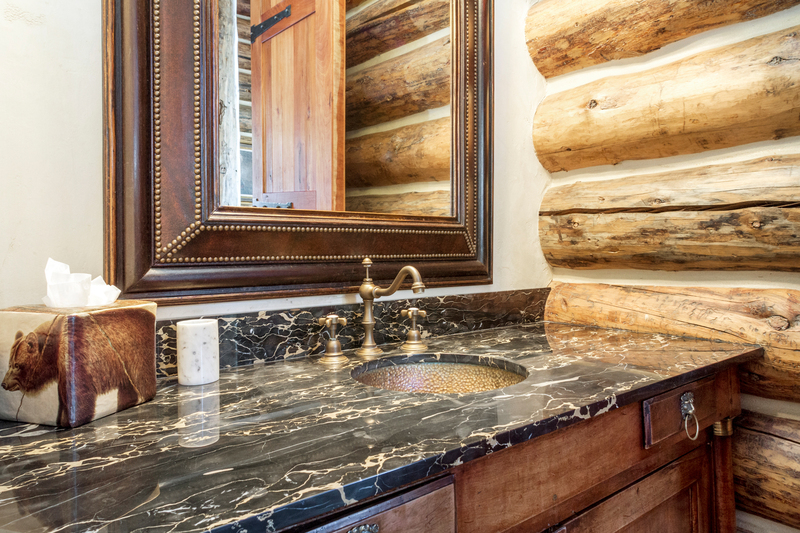 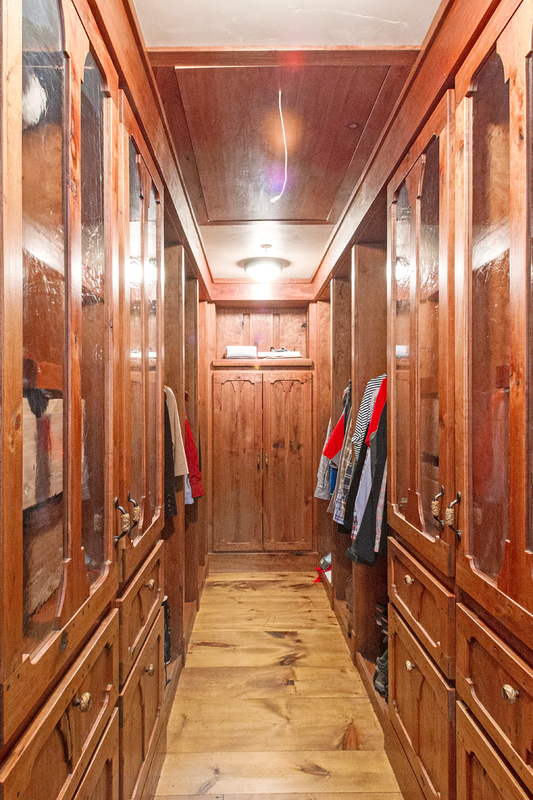 The highest quality finishes make this a home of refinement, elegance and comfort. 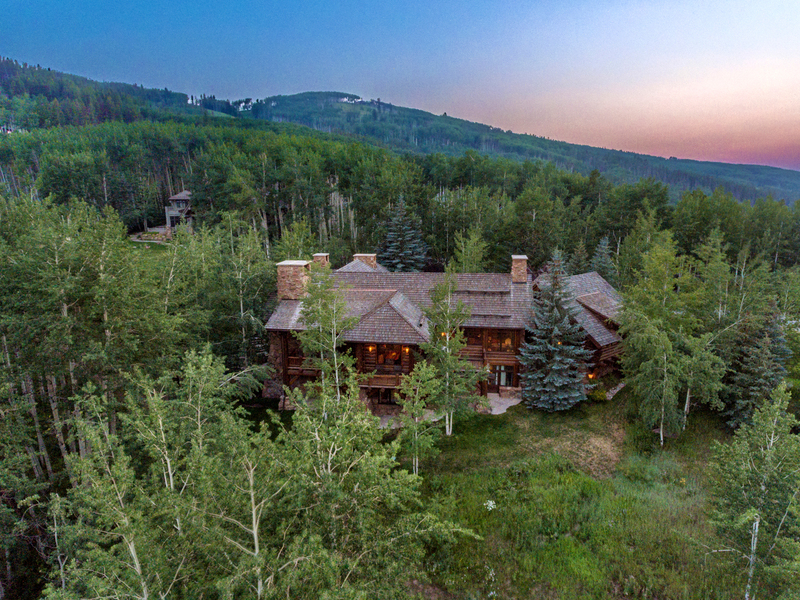 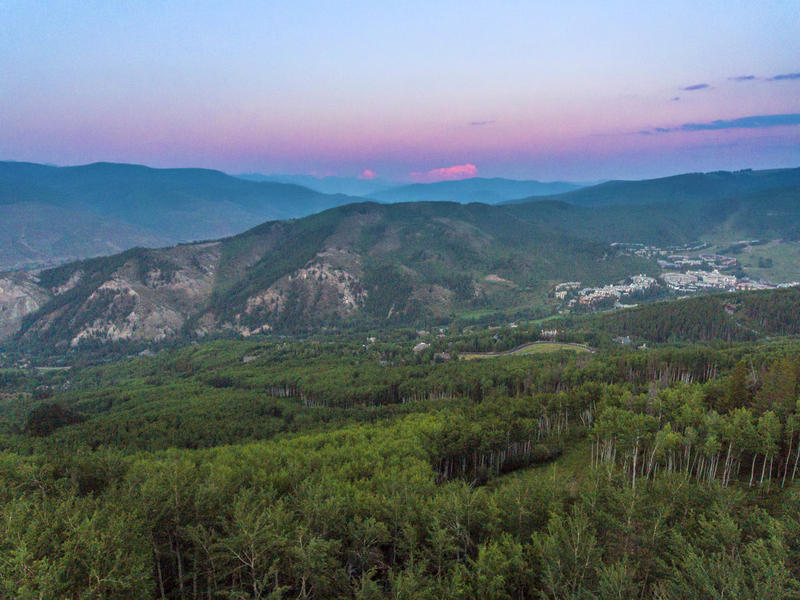 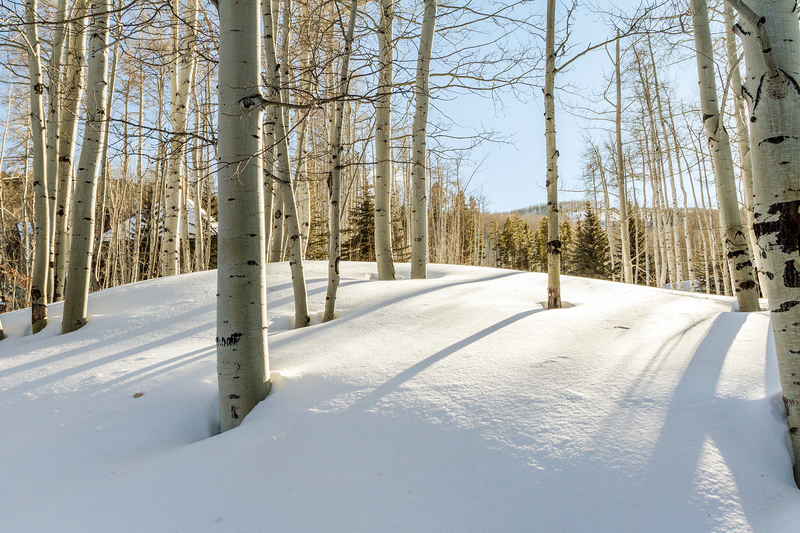 From this incredible setting, you can enjoy the splendor of the Vail Valley — dramatic sunrises and sunsets, abundant wildlife and a night sky full of stars.